My project, (completed on 13/02/2018) is my attempt to show the joy that children can feel at even the simplest of things. If I can let go of my adult worries about schedules and changes of clothes I love watching my 3 year old and 5 year old jumping in puddles. It is amazing how happy just splashing makes them and I love listening to their laughter. 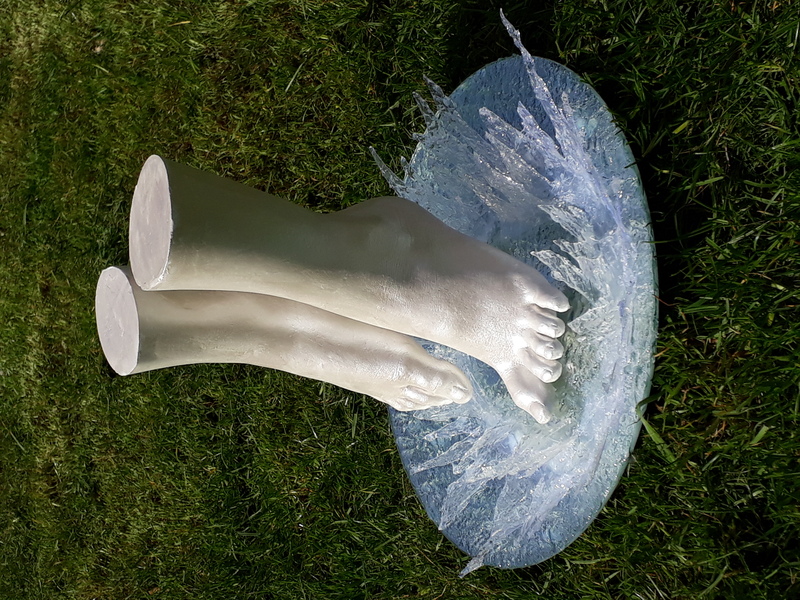 I used alginate to cast my daughter’s feet in a ‘landing’ pose and cast the feet in plaster; one foot just landing and the other raised slightly above. Once they had been tidied up I used acrylic rods to secure them onto the mirror that serves as its base. Once they were attached I painted them in a pearlescent acrylic paint. I chose this colour to unite the feet with the puddle and to create a bright and joyful look. 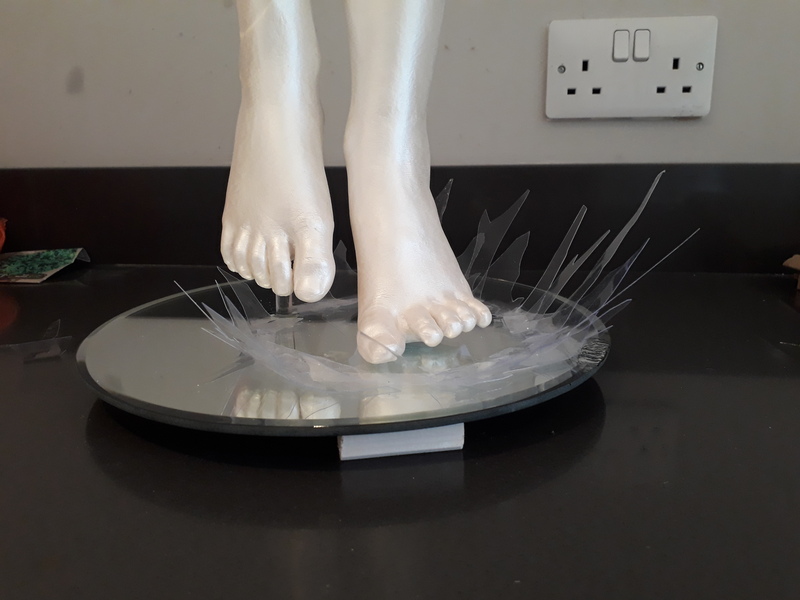 To create the puddle and splash I used cut strips of plastic (softened and bent into shape with a hairdryer) and stuck them in a ring around the ‘landed’ foot. Once in place I applied Vallejo water texture to the mirror and the plastic strips. I used two quite thick layers to give the still sculpture a sense of movement and life. My name is Jenny and I recently started a lifecasting business, (Jenny’s Casting). 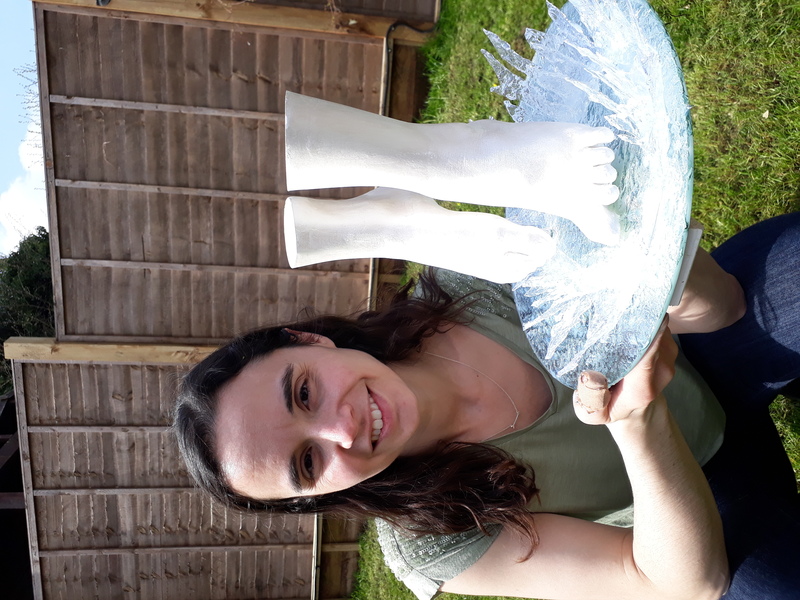 I love the statues of my children’s hands and feet (and I have several now from different ages) and enjoy making something so special for other people. 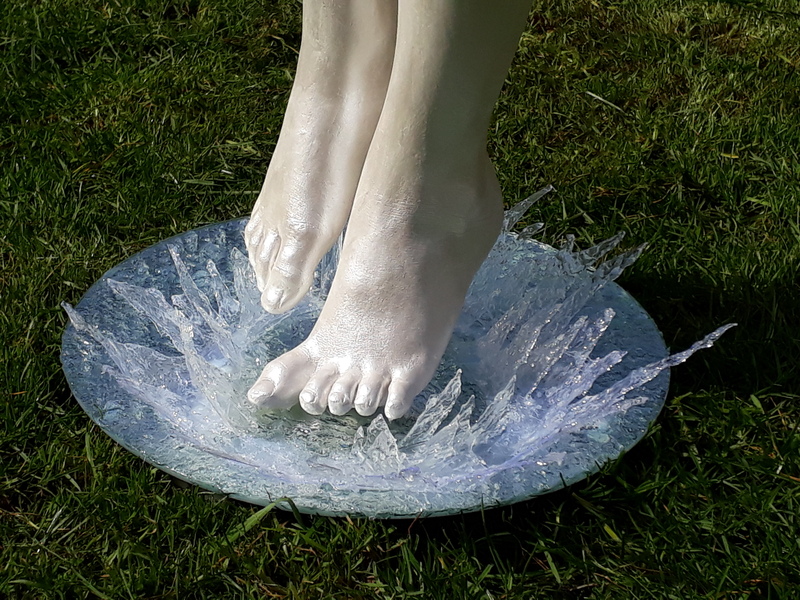 I received a link to this contest on Instagram and saw it as a chance to try something a bit different and to create a sculpture with its own vitality instead of preserving a moment in time.